Zionism has meant many different things to many people over time. Although its founder, Theodor Herzl, is feted in Israel, his vision for the Jewish state is not generally known. Theodor Herzl – Visionary or antisemtite? Herzl is everywhere in Israel. It would be difficult to find a town without a street named after him. 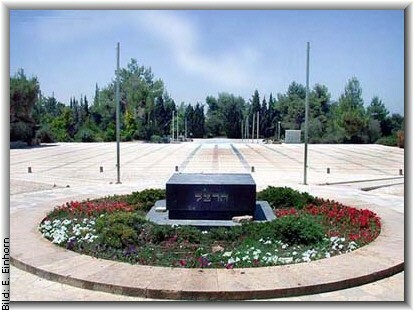 He is memorialised in the names of boulevards, parks, squares, a city (Herzliya), a forest, a sprinkling of restaurants, a museum and even a national cemetery — Mount Herzl. His portrait hangs in the plenum hall of the Knesset. His birthday — Herzl Day — is observed as a national holiday. This is to be expected. After all, was he not the founder of the Zionist project and the Jewish state? What, though, does the average Israeli citizen know about Herzl? Not a lot, I suspect. Do they know he was reprimanded by his rabbi in Vienna for celebrating Christmas with a Christmas tree? Do they know he refused to have his son, Hans, circumcised? That his first solution to ‘the Jewish problem’ was a mass conversion of Austrian Jews to Catholicism? ‘It should be done on a Sunday, in St. Stephen’s Cathedral, in the middle of the day, with music and pride, publicly,’ he wrote. There’s an amusing youtube video in which a journalist presents a number of Israeli students with a quote from Herzl and asks who they thought wrote it. Every one of them says Hitler. They are shocked to discover the truth; the Herzl they’d learned about in school could not have written such an antisemitic statement. This is the quote: AN EXCELLENT IDEA ENTERS MY MIND — TO ATTRACT OUTRIGHT ANTI-SEMITES AND MAKE THEM DESTROYERS OF JEWISH WEALTH. They didn’t know the half of it. What would they have said about this quotation from an article Herzl wrote in the Deutsche Zeitung newspaper? This could have come from the notorious antisemitic forgery The Protocols of the Elders of Zion. So what is going on here? Herzl was born in Budapest in 1860. His parents were secular, assimilated, German-speaking Jews and he himself admired German culture, philosophy, art, literature as the acme of Western civilisation. As a student at Vienna University, he joined the German nationalist fraternity, Albia, whose motto was Honour, Freedom, Fatherland, though he did later resign in protest at the antisemitism that he encountered. 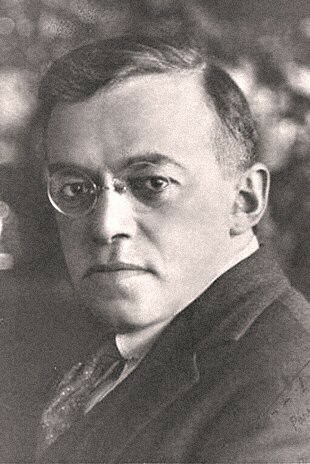 Like many educated, German-speaking Jews, he had nothing but contempt for the mass of religious, Torah-abiding, Yiddish-speaking, shtetl-dwelling Eastern European Jews. There is nothing in his writings to suggest that he had any great attachment to Judaism or much interest in or knowledge of Judaic teaching. And this was his dilemma. He was educated, cultured, rational, an admirer of Germany’s enlightened civilisation, a model citizen of the Austro-Hungarian Empire in all respects except one: he was a Jew, the ‘other’. And even though his Jewishness meant little to him, he could not divest himself of this label and so could not be fully accepted. No wonder he found the idea of converting to Christianity so appealing. His son, Hans, who wasn’t circumcised at birth, seems to have had an identity crisis for most of his life. He did have himself circumcised when he was 13, after his father’s death. In 1925 he became a Baptist, then, shortly after that, declared himself a Catholic. A year or so later, he wrote in a letter to the London Jewish Daily Bulletin, “I consider myself a member of the House of Israel.” In 1930, when he was 39, he shot himself. ‘our excessive production of mediocre intellects, who cannot find an outlet downwards or upwards — that is to say, no wholesome outlet in either direction. When we sink, we become a revolutionary proletariat, the subordinate officers of all revolutionary parties; and at the same time, when we rise, there rises also our terrible power of the purse’. In short, the responsibility for antisemitism lies with the Jews. They carry its seeds within them. It’s their fault for being Jews. Der Judenstadt translates as The Jewish State but it might more accurately be translated as The State of the Jews because there is almost nothing that is specifically Jewish about Herzl’s vision. Much of the book is concerned with the practical arrangements for transferring Jews to the Jewish state — those who remain behind, he argues, will soon disappear altogether — and for setting up the structures, physical, legal, constitutional, of the new state. He envisages a state that more or less replicates the advanced class-based capitalist societies of Europe. ‘I think a democratic monarchy and an aristocratic republic are the finest forms of a State’ but the Jewish state will be an improvement because ‘we shall learn from the historic mistakes of others … for we are a modern nation and wish to be the most modern in the world’. And where will this state be? He hovers between Argentina, fertile land, plenty of space, sparse population, mild climate, and Palestine -‘our ever-memorable historic home’. In Palestine, he writes, ‘we should there form a portion of a rampart of Europe against Asia, an outpost of civilisation as opposed to barbarism’. Zionism has always sold its state as an oasis of Western civilisation in a desert of Arab backwardness — ‘a villa in the jungle’, as Ehud Barak put it. Or a state that would further Britain’s imperial interests in a region of great strategic importance, as Weizmann promised Balfour. Or, as one might put it now, America’s post Six Day War watchdog in the Middle East. Like many early Zionists he thought that the views of the Palestinian population could be discounted and that they had no political rights and should have no say in the matter. When he discusses the language of the new state, he dismisses Hebrew as impractical. As for Yiddish: ‘We shall give up using those miserable stunted jargons, those Ghetto languages which we still employ, for these were the stealthy tongues of prisoners.’ Instead, ‘every man can preserve the language in which his thoughts are at home’. There will be a ‘federation of tongues’ until the most useful language wins out. The Jewish religion? In its place and no further. ‘We shall keep our priests within the confines of their temples…. They must not interfere in the administration of the state…’ There is no mention of the Sabbath or of celebrating the Jewish festivals. Even the flag has no Jewish symbolism, no Magen David, only seven golden stars on a white background. Herzl claimed that he was motivated to argue for a Jewish state in order to solve the problem of antisemitism. But his solution was tantamount to removing the Jewish people from the countries where they lived, depositing them in Palestine and erasing as far as possible any expression of their Jewishness. A fine example of wishful thinking but Herzl’s utopian fantasy is infinitely preferable to the dystopia that is Israel today. It was, though, heavily criticised for imagining a Jewish state that had nothing Jewish about it. 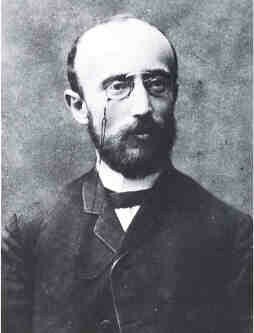 Ahad Ha’am (Asher Ginsberg), the writer and founder of cultural Zionism who opposed Herzl’s political Zionism, denounced the book. He also attacked Herzl’s naivety in portraying the Arab population as welcoming enthusiastically the Jewish colonists. So the 1895 Herzl who, in order to bring about his Jewish state, advocated removing the Arab peasants from their land so that they could be replaced by Jews, seven years later imagined a Jewish state where the relationship between Jew and Arab was harmonious and conflict-free and all were equal citizens. Doesn’t this point to the impossible contradiction at the heart of the Zionist project? The state that Herzl most admired, his model state, was a European liberal democracy like Germany. In order to create that model in the state of the Jews, he had to remove from it anything that was exclusively Jewish. The less Jewish, the more democratic. The more Jewish, the more it would exclude non-Jews and therefore the less democratic it would be. 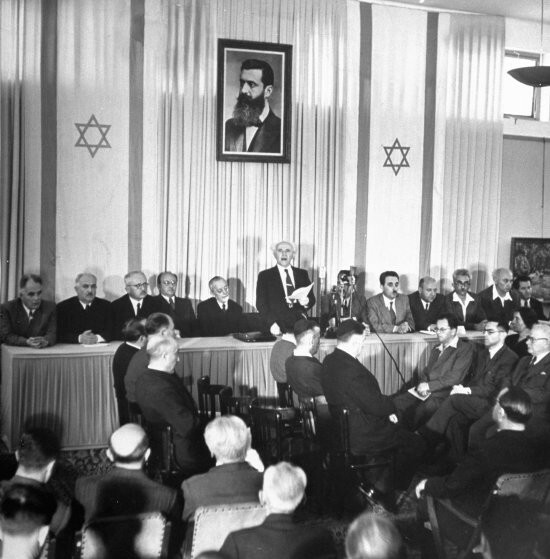 The Zionist parties that fought for and in 1948 succeeded in creating a state were Jewish nationalists. Their state would be not only of the Jews but for the Jews: the nation state of the Jewish people — all of them. They were clear that the state could only survive in that form by, as Herzl had explained, driving out the majority of the non-Jews who lived there. Maximum land, minimum Arabs was the political imperative. In Israel’s early years, it was possible to believe that it was a democratic state. Of course, you would have to ignore the fact that the Palestinian minority who had not fled or been driven out in the 1947/48 war were living under military rule, subject to curfews, administrative detentions, expulsions and land theft. When I was in Israel in 1958/59, no-one mentioned the word ‘Palestinians’. As ‘Arabs’, they had no presence in public life. And the secular Israelis who I mixed with were not greatly concerned about Jewishness. They considered themselves Israeli first and Jewish a long way after, if at all. For them Jewishness was the religion and its repressive laws which they resented. No politician ever called for Israel to be recognised as a Jewish state. It wasn’t necessary. But when military rule was lifted in 1966, Palestinians began to play more of a part in public life. They began to organise themselves politically. And then there was the Six Day War and the occupation and the settler movement and over the decades the number of Palestinians in Israel grew and they started to protest against land expropriations and house demolitions so that they began to be viewed as a problem and then as the enemy and as a demographic threat. But a demographic threat to what? To Israel as the nation state of the Jewish people, of course, and to its Jewish character, whatever that may be. It’s not that this self-definition had ever gone away but now it needed to be asserted. 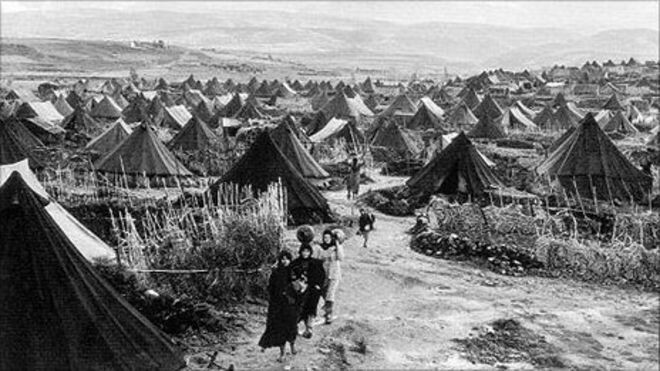 And with the two intifadas, anti-Arab racism grew and religious fanaticism, particularly among West Bank settlers; and the demand that Israel be recognised by the Palestinian leadership as a Jewish state became a deliberate political block on any genuine peace negotiations; and inevitably, inexorably, under governments of both left and right, Israel grew to be what it is now, a segregated, racist state where apartheid is enshrined in the recently enacted Nation-State Law. Herzl, in Altneuland, solved the contradiction between a Jewish state — i.e the nation state of the Jewish people — and a liberal democracy by virtually erasing its Jewishness. Israel has solved the same contradiction by erasing its democracy. I wonder what Herzl would have made of this manifestation of his solution to antisemitism, this militarised ethnocracy, where the Rabbinate controls the laws pertaining to marriage, divorce and burial, where 50 rabbis from the Orthodox religious establishment declare that Halachic law forbids Jews from renting or selling apartments to non-Jews, where two settler rabbis interpret the commandment Thou shalt not kill as only applying to Jews killing other Jews not to gentiles, where 30% of the Jewish population don’t want to work with ‘Arabs’ and 50% of Israeli Jews would rather not have an ‘Arab’ as a neighbour and 56% of Israeli Jewish high school students believe that ‘Arabs’ should be barred from becoming members of the Knesset. Not much like Altneuland, then. And it will get worse. Because Jews are not a nation. And if the Israeli nation continues to exclude the quarter of its population that is not Jewish, it will become more religious, more intent on Judaizing land and laws and policies, more repressive and more intolerant of dissident views until it reaches its journey’s end as a fully-formed fascist state. Indeed! In the first two books of Theodor Herzl’s diaries there’s something on virtually every page that would have got him thrown out of today’s Labour Party. In my article ‘UK’s Labour Antisemitism Split: Just what the Doctor Prescribed’ (http://www.unz.com/article/uks-labour-antisemitism-split/) I show not only how Herzl prescribed a resurgence in antisemitism in order to help in a military campaign to take over Palestine, but also how he was opposed to democracy and Socialism. 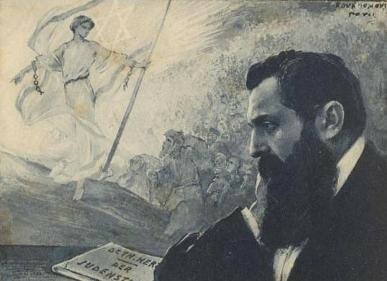 Given that Herzl in today’s Israel is presented as the founding father, and so as the defining voice of Zionism, that makes Zionism and Socialism incompatible.